Silver Spring, Md. (September 19, 2018) – The Discovery Educator Network (DEN) invites teachers and administrators around the globe to participate in the 2018 Fall VirtCon on Saturday, October 20, from 8:45 AM to 2:30 PM ET. A virtual, professional learning conference, this peer-to-peer experience provides a unique, no-cost opportunity for teachers and administrators to learn new, actionable strategies for creating dynamic digital learning environments. The DEN is supported by Discovery Education, the leading provider of digital content for K-12 classrooms. A global community of education professionals, the DEN connects members across school systems and around the world through social media, virtual conferences, and in-person events, fostering valuable professional learning, idea sharing, networking, and inspiration. · Maker Space, Mega Fun! Interested in starting a Maker Space but not sure how? Running a Maker Space but looking for new ideas? Learn how one Library Media Specialist developed a center for creativity, discovery, and community spirit. · Discovery Education’s Math Resources and You: See How They Add Up to Student Success! Learn about a new range of resources, including Discovery Education’s Math Techbook, and how they can multiply understanding of math concepts. Even with limited experience, it’s easy to coordinate tools in ways that create maximum learning experiences. · Extending the Love: How UDL Embraces the Needs of All Students. Learn how one educator saves time and enhances their effectiveness by combining the tenets of Universal Design for Learning with appropriate apps and instructional strategies to ensure all students feel supported and valued. · Creating a Culture of STEM Teaching and Learning with Discovery Education’s STEM Resources. Go beyond STEM activities and explore ways to engage your students in real- world problem solving with resources such as Discovery Education Streaming Plus and STEM Connect, as well as new instructional strategies supporting the 4Cs. · Necessary New Letters for Your School Alphabet: AR, VR, AI, ML, MR. AI, AR, and VR will impact students’ adult lives in profound ways. Explore easy ways to get these technologies into classrooms and integrated into subject matter. 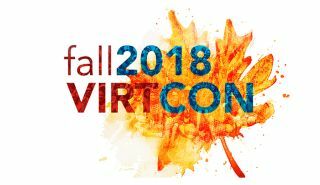 In addition to providing new perspectives and insights on issues important to today’s educators, Fall VirtCon offers participants the opportunity to connect with their colleagues, share ideas, and discover new digital resources and instructional tools they can immediately integrate into teaching and learning. Last year, approximately 3,500 educators participated in Fall VirtCon. Members of the DEN will also host a number of local viewing parties where Fall VirtCon attendees can participate in-person. To register to attend in-person or virtually for 2018 Fall VirtCon, visit this webpage, and use the hashtag #DEPD to follow along with this event on Twitter. At the conclusion of the 2018 VirtCon, all sessions will be archived and available at the event website. For more information about the DEN, digital resources or professional development initiatives, visit www.discoveryeducation.com, and stay connected with Discovery Education on social media through Facebook, follow us on Twitter at @DiscoveryEd, or find us on Instagram and Pinterest.